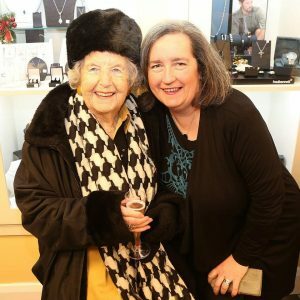 Owner of City Jewellers Edrina Briscoe Conway with her mam Sheila, who she is looking forward to spending more time with in future. 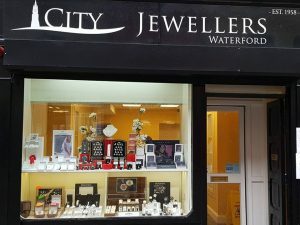 AFTER over 60 years open in the city, City Jewellers on Michael Street is to close its doors in the coming months as owner Edrina Briscoe Conway and her husband Declan look to spend more time with their family. Having opened on Peter Street in 1958 and later moving on to Arundel Square and now Michael Street, the store was trading well and while they will miss meeting customers, Edrina is looking forward to having more time to spend with family, including her mam Sheila and grandchildren. The store on Michael Street previously traded at Arundel Square and Peter Street. Edrina, who will continue to run Whitby Business Solutions, had been pondering the decision for a long time and finally made the call after being on a retirement planning course for a separate entity recently. The planned final day is June 15 although this may be brought forward if the stock is sold beforehand.